Description: As a child Lawrence Newton wanted nothing more than to fly starships and explore the galaxy. But on the colony world of Amenthi in the 24th Century the age of human star flight was drawing to a close... So, like many other teenage rebels, he runs away. Twenty years later, he's the sergeant of a washed-out platoon taking part in the bungled invasion of another world. The giant corporations who own the remaining starships euphemistically call such campaigns "asset realisation". In practice, it's simple piracy. Origins: The first book I read that was written by Peter F. Hamilton. Since this book I have read and enjoyed the Commonwealth series, beginning with Pandoras' Star and Judas Unchained, then the Void Trilogy, and finally his other stand alone novel Great North Road, which was a good read as well. 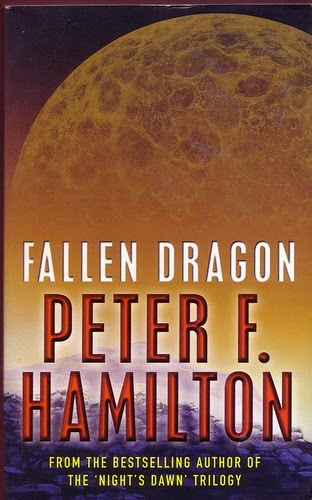 Fallen Dragon is a stand alone novel which is not part of any of Peter F. Hamiltons' previous universes, yet he still put a lot of back story into it, which I really liked and because of this I assumed there would be more novels in this universe. In a universe where exploring the space is an option our protagonist, Lawrence Newton, leaves this colony and parents for good, to do so but finds out exploring space is expensive, so he will need to get a job in a corporate army to do so, and twenty or so years later finds himself still in there... wow sounds very 21st century. It is a look into how the 24th Century might be if we continue on with our worship of consumerism and the corporate world. In this universe governments are toothless dogs and corporations have control of peoples everyday lives. It is not so much a look at a dystopian future but a possible one. Interestingly it seems a lot like the 21st century first world. I really enjoyed some of the small touches where the Lawrence travels to the outskirts of one world his army is invading and passes through the lower class suburbs with weed infested lots and rusting vehicles in backyards, and even during this invasion, people are still trying to eck out a living, not something you read much in some Sci-Fi. It is an interesting mix of corporate political intrigue, military tactics and really interesting Sci-Fi technology. I know for some people this is their least favourite Peter F. Hamilton books, like my father, but I liked the characters and the setting. When I read a book and a character can frustrate me, I know the character development is pretty good. Lawrences' story is told in parallel between his current self and flashbacks to his younger self on his parents colony. It is worth a second read because knowing the entire storyline will shed a entirely different light the telling of it. 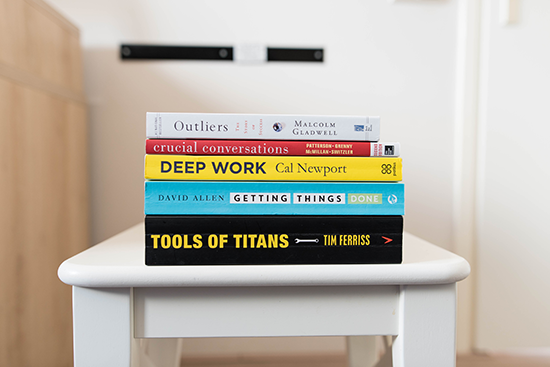 Use the below links to grab yourself a copy and support WolfsBooks as well.